Macy's Black Friday in July! 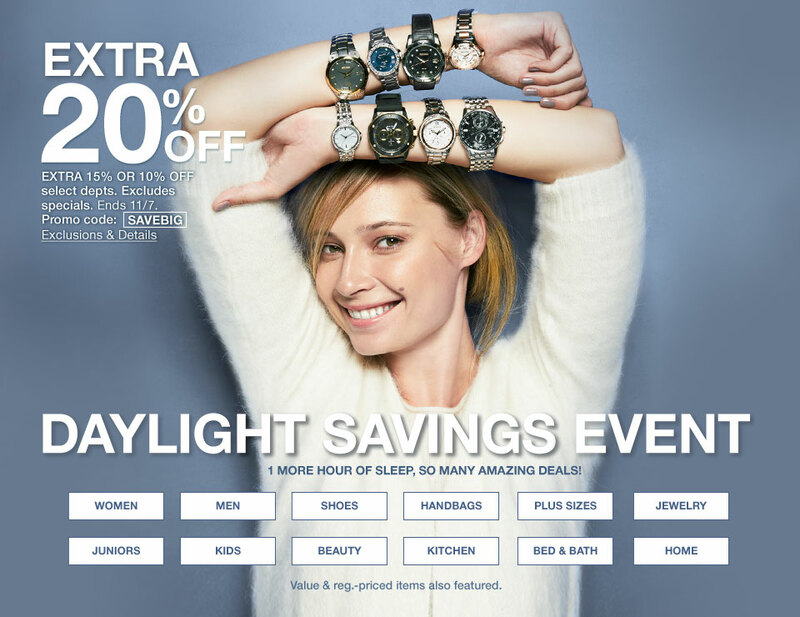 It’s Macy’s Daylight Savings Event! It’s hard to believe it’s November already and yet, here we are. My kids have barely had a chance to analyze all the candy they collected on Halloween before everything starts switching holidays. (If you need help knowing how to transition your tablescape and decor from Halloween to fall, click the blue text for help). How to Save: Place qualifying items in shopping bag, then enter promo code SAVEBIG in the box labeled “HAVE A PROMO CODE?” and click “APPLY.” You can enter the promo code in your shopping bag at any time before or during checkout. * EXTRA 20% OFF: select reg. & sale in store and select reg., sale & clearance online: kids’ & women’s’ clothing. * EXTRA 15% OFF: select reg. & sale in store and select reg., sale & clearance online: fine & fashion jewelry, shoes, coats, suits, dresses, lingerie, swim for her and home items. * EXTRA 10% OFF: select reg. & sale in store and select reg., sale & clearance online: home electrics/electronics & watches. Keep in mind, there are exclusions and the Daylight Savings Event promo code cannot be combined with any savings pass/coupon, extra discount or credit offer except opening a new Macy’s account. In addition to the discount code, there are also a lot of great sale prices to be found. read these 9 Ways to Save Money at Macy’s now!